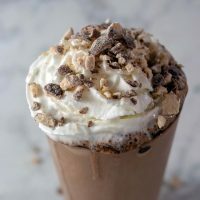 Triple chocolate malt milkshakes combine three forms of chocolate in a thick, creamy, malty shake! Garnish with whipped cream and crushed malted milk candies. Welcome to another #Choctoberfest post, sponsored by Imperial Sugar! During the week, over 100 #Choctoberfest bloggers will be celebrating all things chocolate — milk, dark, white, bittersweet, semi-sweet, and cocoa! And we’ve got some great prizes from our sponsors! Head over to Monday’s post to read about them and enter the giveaway. On Monday, I shared a warm drink, creamy hot chocolate. Today, I’m going in the opposite direction with a frozen drink, triple chocolate malt milkshakes! There are three forms of chocolate in this delicious milkshake. The first is chocolate ice cream, any brand you like. Premium is preferable over the lower-fat kinds. Having never had any of the non-dairy varieties, I can’t predict what effect that would have on the texture, but obviously, if you can’t have dairy, substitute whatever fits your dietary needs. The next form of chocolate is chocolate syrup. 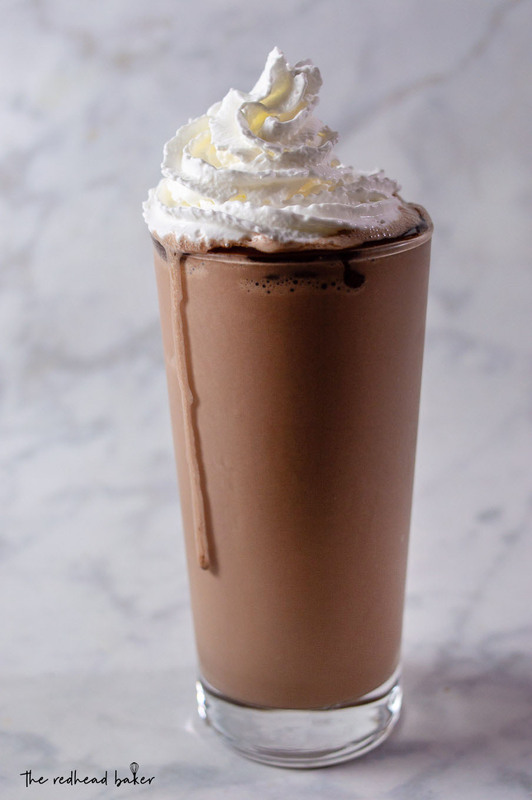 The concentrated chocolate adds flavor without thinning out the milkshake. The final form of chocolate in this recipe is chocolate malt powder. Ever wondered what malt powder is? Yeah, me too. It’s a powdered cereal made from a mixture of malted barley, wheat flour, and evaporated whole milk. Malted milk adds a unique. distinctive flavor to food and beverages. Some consider it an old-fashioned ingredient (think malt shops, and Ovaltine commercials on TV in the 60s), but I love adding it to milkshakes, baked goods, or a plain glass of milk. 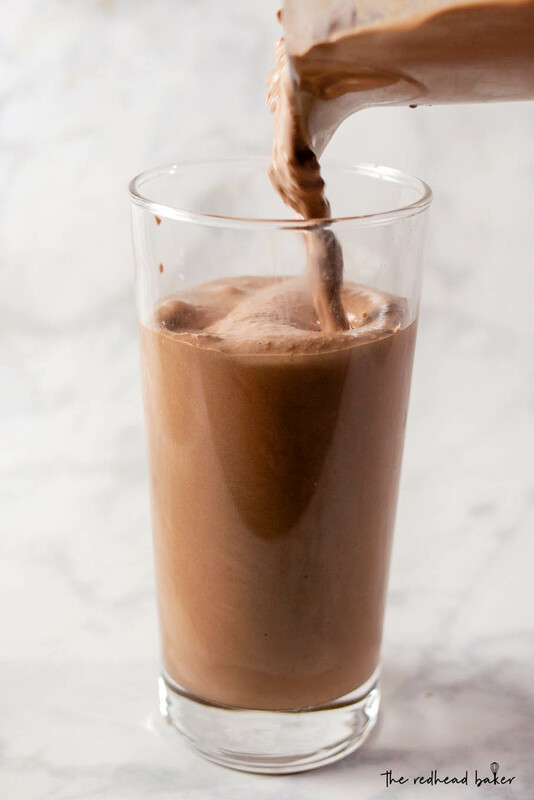 Place the chocolate ice cream, milk, chocolate syrup and chocolate malt powder in a blender. Puree on high until smooth. Divide between two glasses. 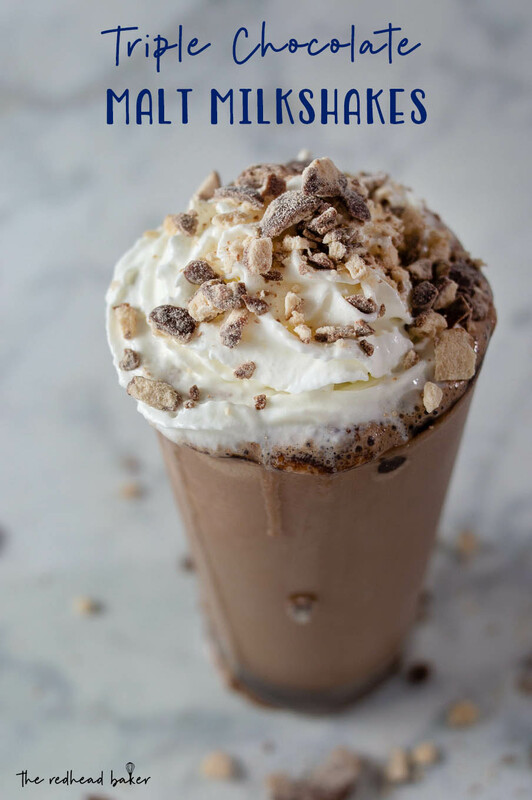 Garnish with whipped cream and crushed chocolate-covered malted milk balls. I could go for one of these right now! Yum!